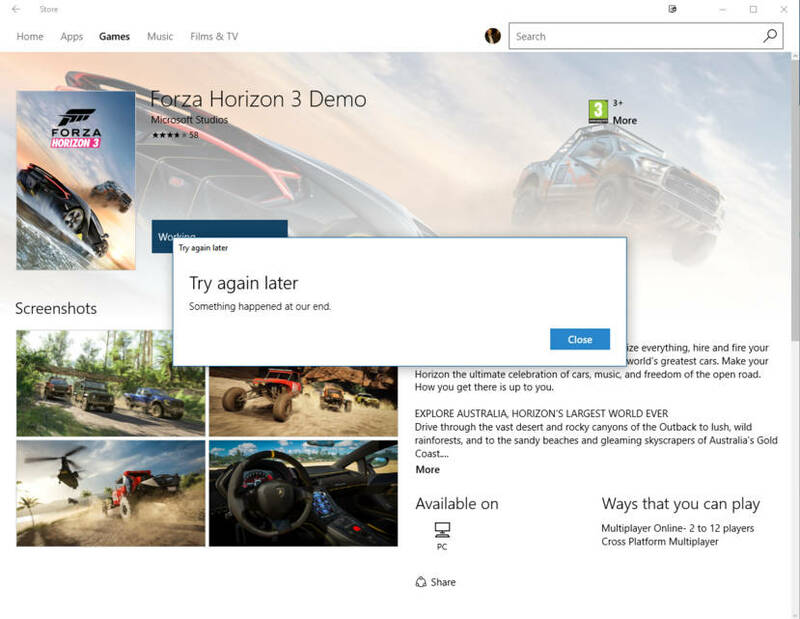 Windows Store commonly shows the error “Try again later, something happened at our end” to the users. This error means that something has gone wrong on Microsoft’s servers. This typically can be solved by waiting for a few hours and trying again to see if everything works. However, waiting like this doesn’t always work. It’s also not possible to wait for a few hours when you want to urgently need some app on your PC from the Windows Store. Fortunately, there is a simple way to fix this problem. You can uninstall the Store and then Reinstall the Windows store to make it work normally on your Windows 10 PC again. 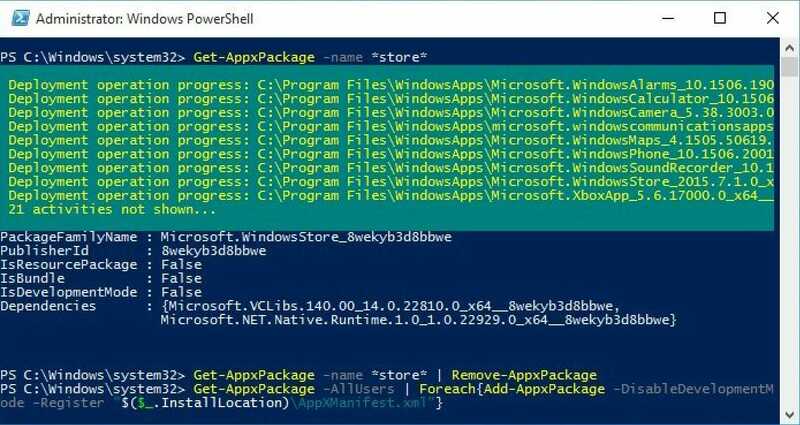 For this, you will need to use the Windows PowerShell app. First, you will need to remove the Store from your PC using a simple command and then reinstall the Store using a similar command. Open PowerShell by searching for it in the start menu. Run it as an administrator. Type the following command and press Enter.This command will list all the apps with the word ‘store‘ in them. Depending on your system, the Windows Store me or may not show up on the top. To remove the Store from your PC, type the following command and press Enter. 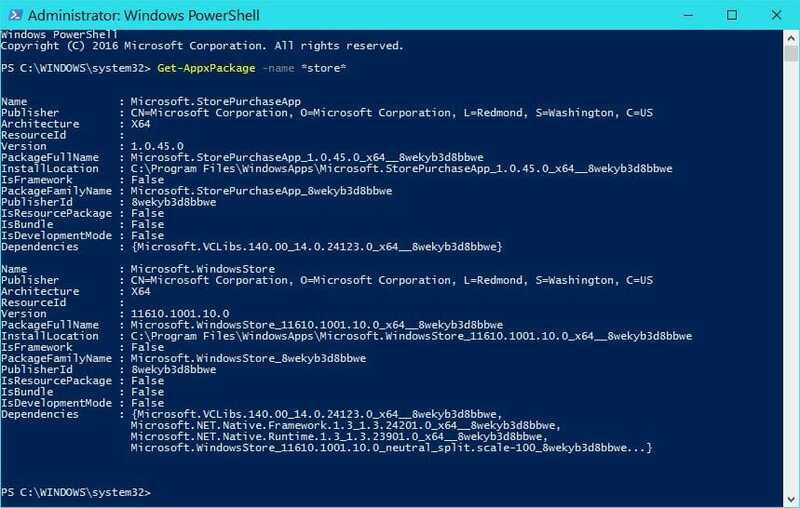 The PowerShell will take a few moments to remove all the files and settings related to the Store. Now to reinstall the Store, type the command given below and press Enter. That’s it. Now you can install all the app from the Store without the “Try again later, something happened at our end” error thrown at your face. To verify if everything is working correctly, make sure to open the Windows Store and install an app just in case.